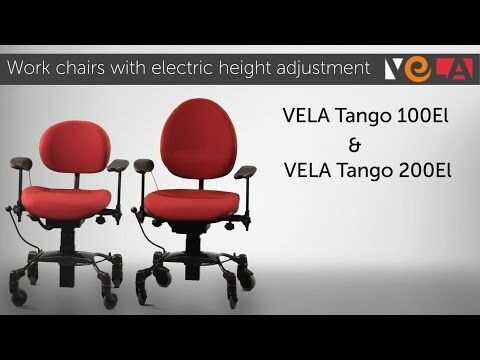 VELA Tango El is especially suitable for people with disabilities, as the chair provides the user with safety and stability when performing everyday activities. The chair's electric height adjustment function makes it possible for people with mobility problems to get out of and into the chair independently. Manually operated electric adjustment of seat height. Manual operation is useful when the chair is operated by healthcare staff or a personal carer. The spiral cable makes it possible to stand by the chair where it is most convenient for the patient and carer, when adjusting the height. Contact box can also be purchased with magnetic suspension.